Sometimes all you want is chocolate. Nothing else will do. Or is that just me? 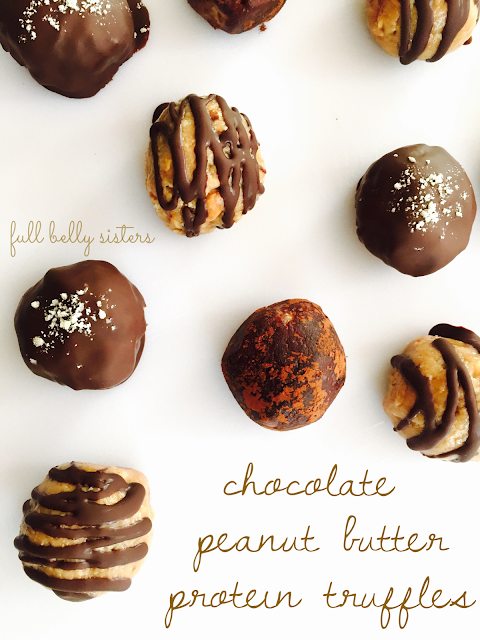 The good news is that there are nutritious ways to indulge a chocolate craving. 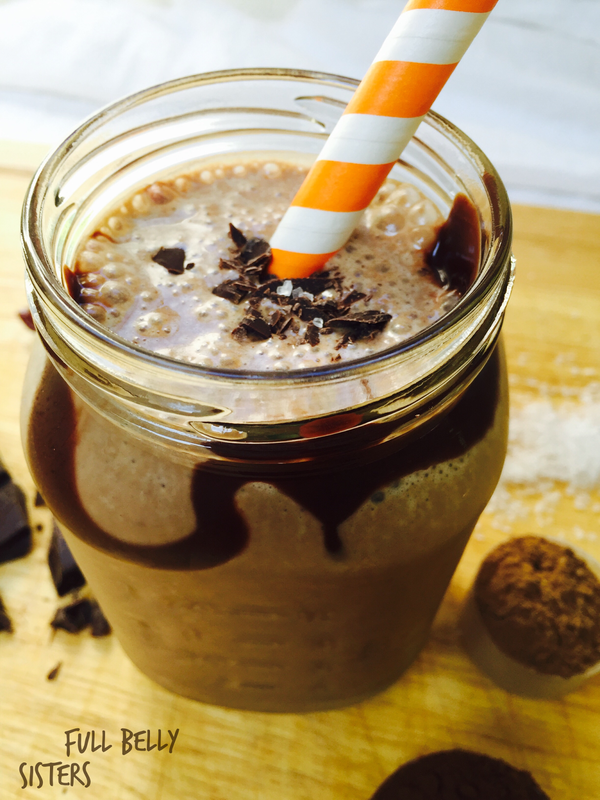 So, let's continue to celebrate #Choctoberfest with a delicious chocolate smoothie. It's packed with antioxidants, calcium, potassium, and over 20 grams of protein. And no refined sugar! How can I possibly make a caramel smoothie with no refined sugar? My secret, superfood ingredient: pitted dates. These guys add a wonderful caramel flavor and sweetness, as well as fiber, antioxidants, and minerals. I added another nutrition boost with a scoop of Barlean's Chocolate Silk Greens , a mix of cocoa and powdered superfoods like spirulina, strawberries, and goji berries. 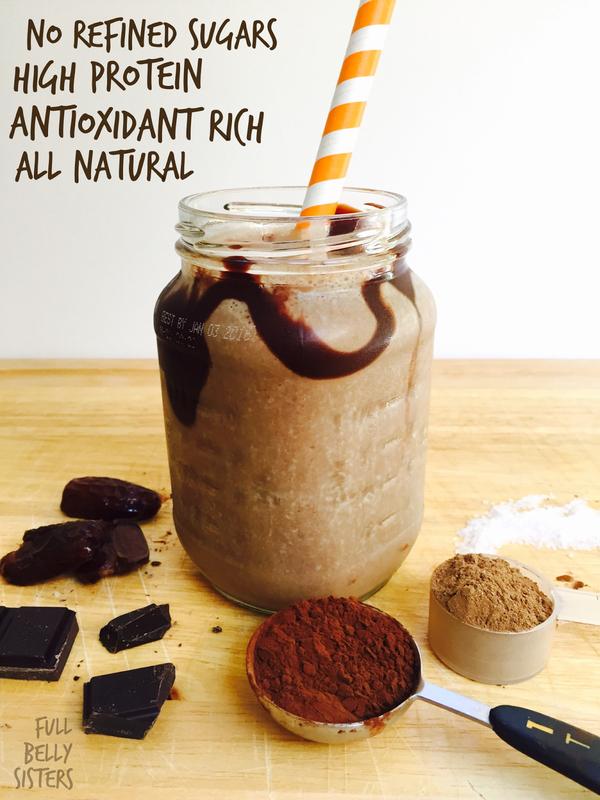 It's a delicious addition to my chocolate smoothies (and would be a great way to add some goodness to your kids' hot cocoa or chocolate milk!). 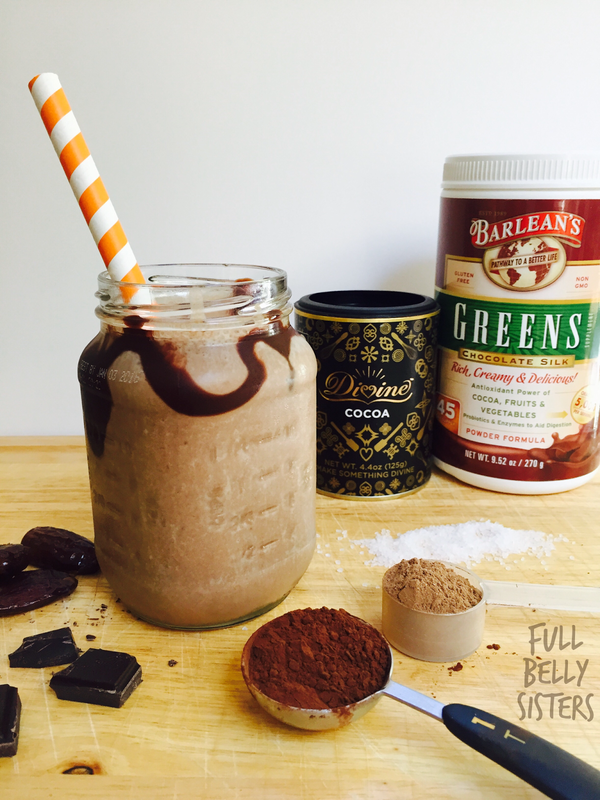 Barlean's is one of the sponsors of Choctoberfest, so they provided me with the wonderful greens mix; I also used Divine Chocolate Cocoa Powder in this smoothie, as well as their chopped dark chocolate bar for garnish. Divine is another generous sponsor of our chocolate celebration this month. Blend everything in a high-powered blender until smooth and frothy. If desired, garnish with some chopped dark chocolate and a good pinch of coarse sea salt, as well as a drizzle of chocolate syrup. Whether you're starting your day with this smoothie for breakfast or ending your day with this smoothie for dessert, enjoy it! Sometimes it feels great to indulge a craving. And don't forget to check out our other Choctoberfest featured recipe: our 10-minute Chocolate Peanut Butter Protein Truffles. Packed with nutrition and deliciousness! What's your favorite way to indulge a chocolate craving? So many good things in this drink and still looks so good. Those two things don't go together! This smoothie sounds really delicious!! This is a wonderful treat. I'm sitting in front of a smoothie right now, the next one could be this one... soon enough since I can resist to such yumminess! 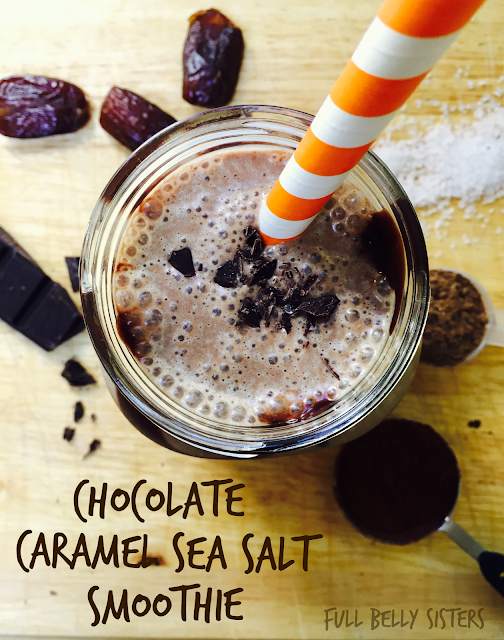 This is the perfect smoothie, chocolate, sea salt caramel with health benefits. Love it. I would totally devour this! Wait, do you devour a smoothie or do you simply slurp it down? Well, either way, I want one! the sound of it makes my mouth water! Thanks, hope you try it! This looks like the best smoothie ever.